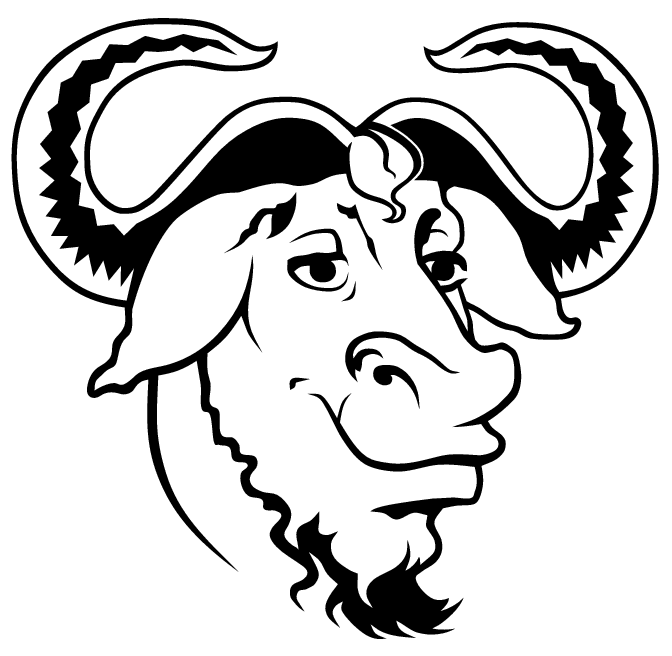 "A GNU head" is probably originally by Etienne Suvasa. It has been re-drawn as vector graphics by Aurélio A. Heckert. This vector graphics can be used to do t-shirts, big size prints, or high quality print in any size you wish. This artwork is free. You can redistribute it and/or modify it according to terms of the Free Art licence. For more information about the Free Art licence (in the spirit of the GNU GPL for software), see Copyleft Attitude. SVG is an open format, defined by W3C.